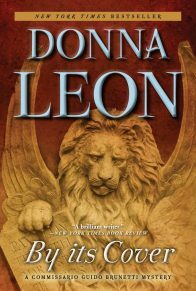 Donna Leon’s sumptuous series of novels featuring the principled, warmhearted Venetian Commissario Guido Brunetti have won her countless fans, critical acclaim, and international renown as one of the world’s best crime writers. 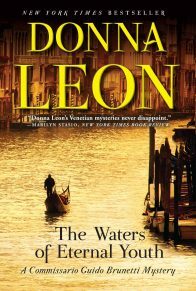 In A Question of Belief, the nineteenth novel in the best-selling series, Brunetti must contend with ingenious corruption, bureaucratic intransigence, and the stifling heat of a Venetian summer. With his hometown beset by hordes of tourists and baking under a glaring sun, Brunetti’s greatest wish is to go to the mountains with his family, where he can sleep under a down comforter and catch up on his reading of history. But before he can go on vacation, he has police work to do. A folder with court records has landed on his desk, brought by an old friend. It appears that certain cases at the local court—hardly known as a model of efficiency—are being delayed to the benefit of one of the parties. A creative new trick for corrupting the system, perhaps, but what can Brunetti do about it? 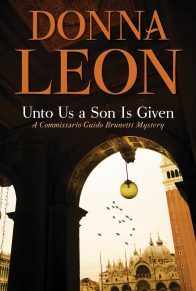 At the same time, Brunetti is doing a favor for his colleague, Inspector Lorenzo Vianello. The inspector’s aunt has taken a strong interest in astrology and has been regularly withdrawing large amounts of cash from the bank. But she won’t listen to her family, and Vianello doesn’t know what to do. Brunetti agrees to help. 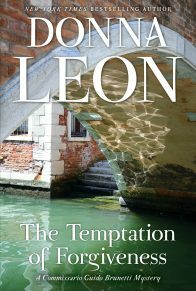 He assigns the Questura’s new recruits, who need training in following a suspect through Venice’s complicated streets, to see where the money is going. And just when it looks like Brunetti will be able to get away for his well-earned rest, a shocking, violent crime forces him to shake off the heat and get down to work. A Question of Belief is a stellar addition to Leon’s celebrated series: atmospheric, packed with excellent characters, and building to an explosive, indelible ending. Deus ex machina, therefore, could have been no more welcome than was Vianello, who came in carrying that day’s Gazzetta dello Sport. “What’s that?” Brunetti asked, pointing to the pink newspaper and giving unnecessary emphasis to the second word. He knew what it was, of course, but he failed to understand how it could be in Vianello’s possession. “For a minute I thought it was yours,” Brunetti said, smiling. “With ponies and the white suits and hard hats?” Brunetti could not prevent himself from asking. “I don’t read Chi, either,” Vianello said primly. “And I’m the one affected by the heat,” Vianello said. “There’s some sort of directive from Rome, saying that they can’t use it because of the danger of a brown-out like the one they had three years ago.” Vianello shrugged. “So we’re better off here than in some glass and cement box like they are.” He looked across at the windows of Brunetti’s office, thrown open to the morning light. The curtains moved listlessly, but at least they moved. “And they really had the air conditioning off?” Brunetti asked. Vianello shifted his weight in his chair, stood to smooth the wrinkles in his trousers, and sat down again. “It’s my aunt, my mother’s sister. The last one left. Anita. Brunetti was content to sit and listen to whatever Vianello said about his aunt. The distraction would keep him from going to the window every few minutes to see if … If what? If it had started to snow? “And she’s started watching them on television,” Vianello continued. “Horoscopes?” Brunetti asked, puzzled. He watched television infrequently, usually forced to do so by someone else in the family, and so had no idea of what sort of thing was to be found here. “Watch out not to fall down the stairs or watch out for a tall, dark-haired stranger?” Brunetti asked. “Isn’t that why the witches got burnt?” Vianello asked. “From what you’ve said about her over the years, she doesn’t sound the type,” Brunetti eventually said. “Doesn’t sound like the sort of person who would begin her day by checking what’s new in the house of Aquarius,” Brunetti observed. “I’m still not sure why you’re asking me about this, Lorenzo,” Brunetti said. Brunetti shook his head in a mixture of agreement and regret. No, they didn’t, not to their wives nor to their children, only to their friends and colleagues. He had often thought about this difference in—was it sensibility? Perhaps it was nothing more than culture: surely he knew a lot of men who still thought it a sign of weakness to display any interest in soft things like feelings. “You think we love our kids more?” he asked Vianello. “More than whom? And who are we?” the Inspector asked. “I wouldn’t worry until she starts reading your palm, Lorenzo,” Brunetti said, trying to lighten the mood. 1. When Vianello shares his concerns about his aged aunt’s increasing interest in spiritual mediums with Brunetti, the commissario admits that the hobby doesn’t sound so strange “because she’s an old woman . . . and we tend to assume . . . that old women will believe that sort of thing” (p. 5). Do you agree with Brunetti’s reluctant admission? What social and other factors are behind his assumption? 2. 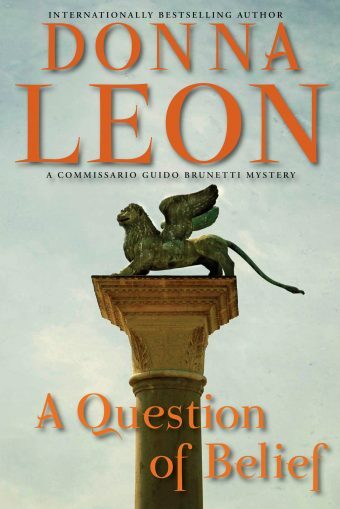 What is Toni Brusca’s position, and why has he come to visit Brunetti at the Questura? What is the job of the chief usher in the Italian court system? Although Fontana is “just a clerk,” what kinds of power does Brusca suspect he actually wields? 3. Brunetti “was seldom . . . moved to indignation by some new revelation of the skill with which his fellow citizens managed to slip around the edges of the law” (p. 24). Why does the rule of law command so little respect in Italian society, even among such principled law enforcers as Brunetti? (Consider Paola’s comment about not getting a ricevuta fiscale when dining at the restaurant of a friend). What factors contribute to respect for rule of law in other societies? 4. What does Brunetti discover when he begins to research internet psychics, tarot card readers, and “astral consultants”? How are the services advertised, and what incentives are offered to potential customers? How is Brunetti’s work—specifically, as an interrogator of suspects or witnesses—similar to the work being carried out by psychics or astrologists? 5. What does Signorina Elettra observe when she meets her friend for coffee and has the chance to see how the clerk Fontana and Judge Coltellini interact?Why does she doubt Fontana’s odd behavior is a sign of unrequited love? What other dynamic does she detect in his manner towards the judge? 6. What kind of woman is Signora Fontana? What kind of relationship did she seem to have with her son? Why does Inspector Griffoni suspect there is something she is hiding about him? 7. What’s Brunetti’s impression of Signora Fulgoni? 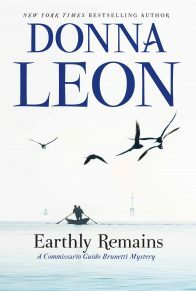 Why does she bristle at the suggestion that she is socially acquainted with the Fontanas? 8. How does Brunetti gain entrance into the Marsano apartment? Who is Zinka, and what does she tell Brunetti about her employers? Why is she sympathetic to Fontana? 9. “The business of law was not the discovery of the truth, anyway, but the imposition of the power of the state upon its citizens” (p. 173). Do you agree with this statement generally, or as applied to a specific case? Why or why not? What precautions exist to prevent law from becoming a mere exercise of power by the state, and do they succeed at doing so? 10. 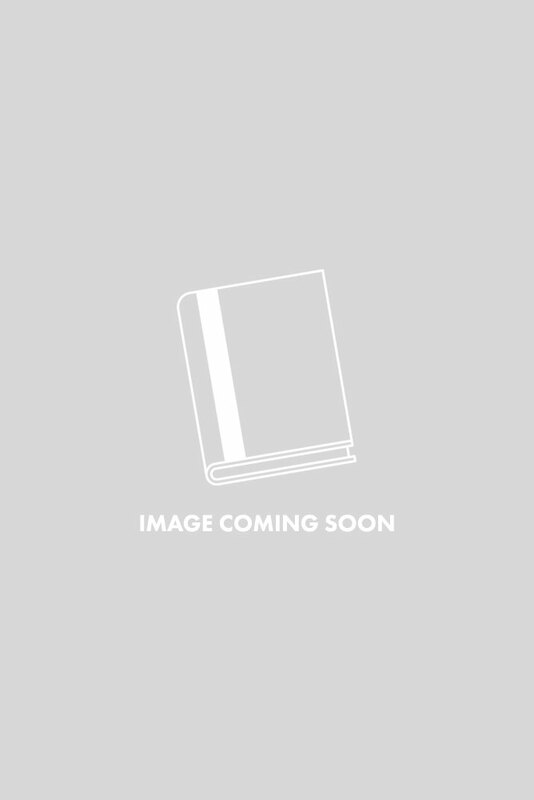 What kind of lawyer is Avvocato Penzo? What sort of rumor does he share with Brunetti? What was Penzo’s relationship with Fontana, and what does he reveal about Fontana’s relationship with his mother? 11. What does Brunetti, with the help of Signorina Elettra, discover about the living arrangements of the tenants in Fontana’s building? Why are the terms of the rentals unusual? Given the state of real estate in Venice, what kind of obligation do such arrangements seem to place on the party that enjoys the housing? Why is Fontana’s mother so particularly enamored of her apartment? 12. 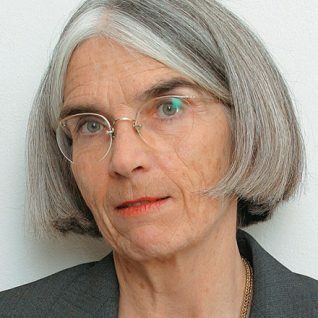 On what grounds does Vice-Questore Patta object to Brunetti’s questioning of Sinora Fulgoni? What does it mean to be “a friend of the Questore?” Why is Patta inclined to suspect his employees rather than his social contacts? 13. How does Fontana’s cousin describe him? Why did Fontana “separate his emotional life from his sexual life?” ( p. 208). Why does it turn out that he could never have been in a relationship with Renato Penzo, as Brunetti first suspected? 14. Why had Brunetti asked Rizzardi about his impressions of Singora Montini? Why does Signora Montini panic when asked about inconsistency of lab results? How does it turn out she helped Signor Gorini generate business through her work at the lab? Does she seem to truly believe in Gorini’s methods? 15. Why is Patta reluctant to believe Gorini could be in the wrong? Does his argument—that reordering all the tests recently performed by Signora Montini might “weaken . . . the public’s faith in government institutions” (p. 231)—hold water? 16. 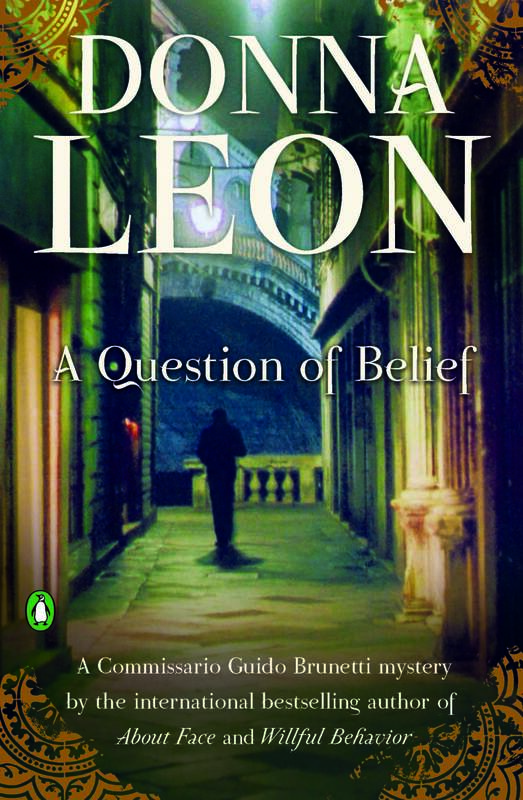 Why does Brunetti come to believe Signor Fulgoni might be gay? What sort of relationship do the Fulgonis seem to have? How do Brunetti’s separate interviews with the spouses proceed? Why is he unable to believe either side of the story completely, or to be optimistic about a successful prosecution?